Dave and James Kaye of Detroit Bros. 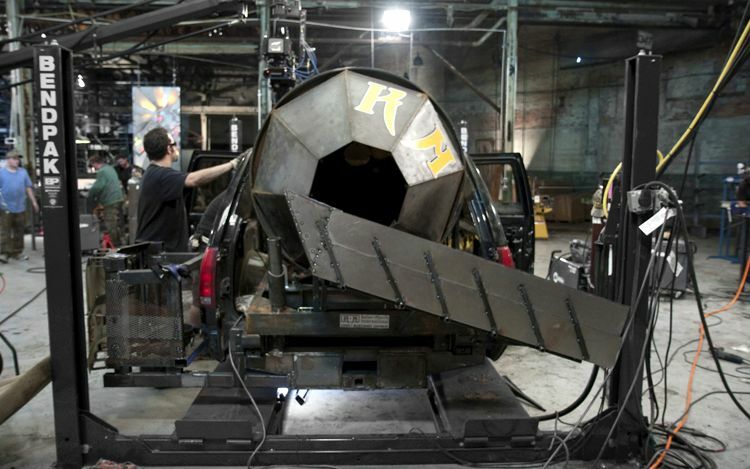 Custom Cycles were being featured in a Discovery Channel series called Motor City Motors. The original series focused on some of the most memorable, challenging and innovative builds ever witnessed on the small screen. 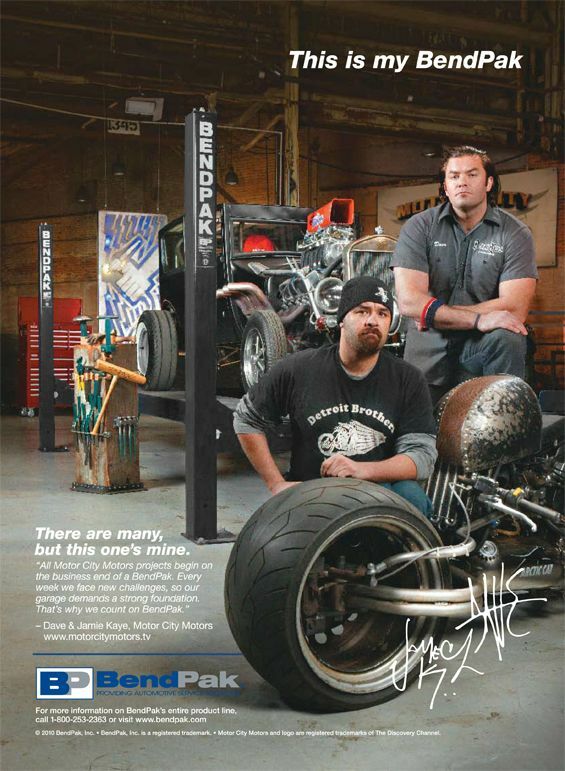 Our auto lift series were featured exclusively on the show, and to this day the boys and we at BendPak enjoy a great working relationship on all their other projects. Dave and James Kaye started Detroit Bros. Custom Cycles in 2002 and built a name for themselves with cutting-edge, quality metalworking. As proud Detroit natives, they spent much of their career drawing attention to the needs of their city and showing off how much can be accomplished with a never-give-up attitude. From the producer of such Discovery Channel hits as Deadliest Catch and Pitchmen, the first and only season of Motor City Motors is comprised of 13 hour-long episodes. This is as real as it gets. The majority of the series takes place inside a leaky, rusty warehouse in south Detroit—NOT a sound stage in Hollywood, California. That’s love.